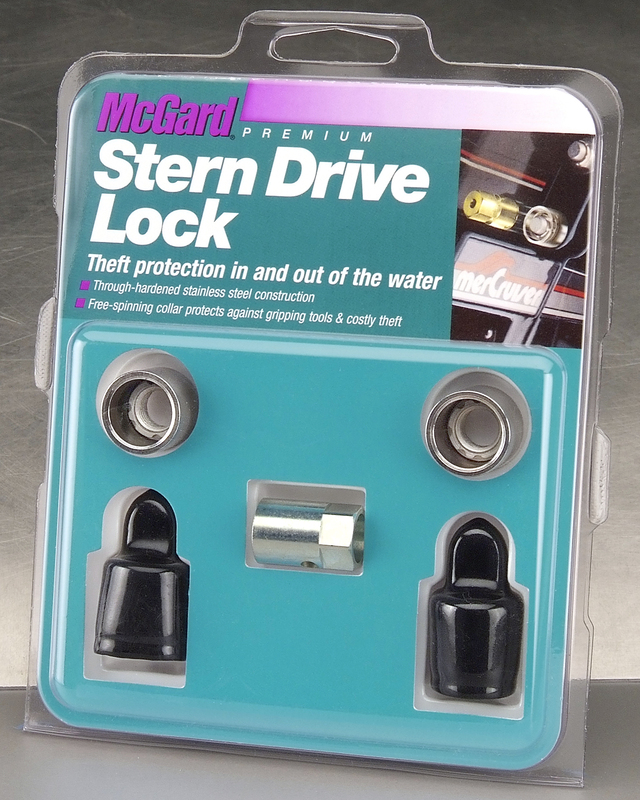 Simply replace one of the stern drive mounting nuts with a McGard lock. 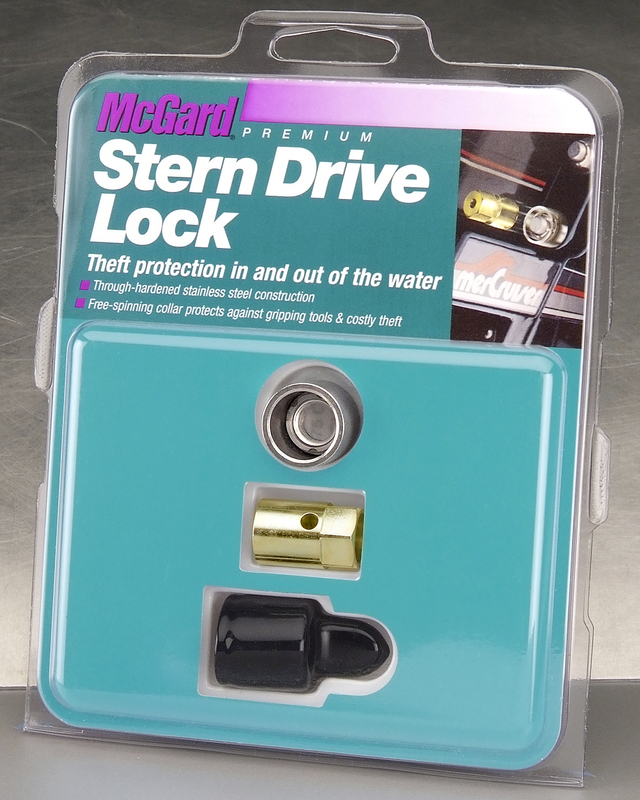 Stern drive locks are fully machined from high quality stainless steel and through-hardened. This proven design features a free-spinning collar that turns if attacked by gripping tools without loosening the lock. 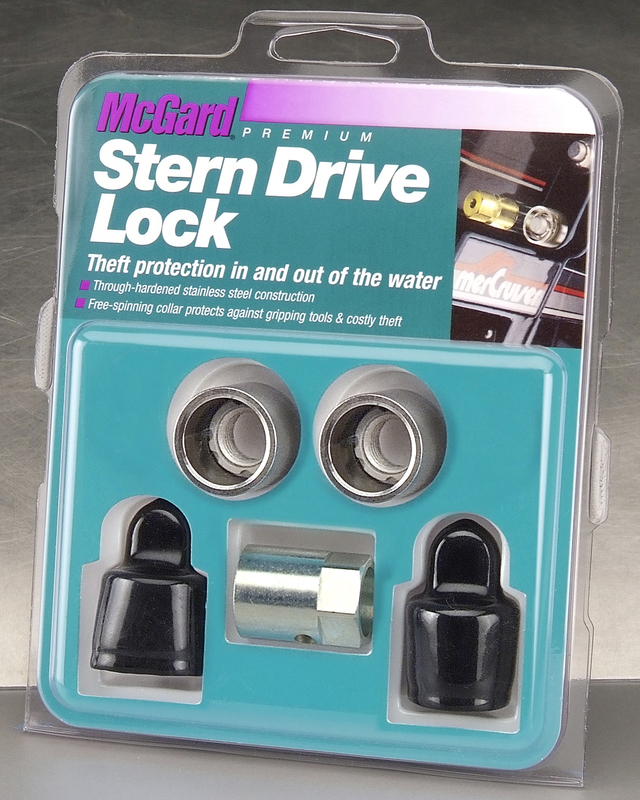 Give yourself the best protection available against stern drive theft. 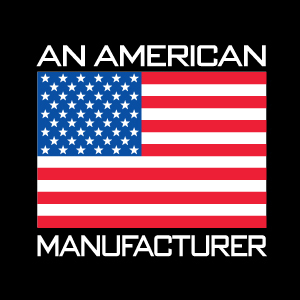 Ask for McGard Marine Locks by name. * Twin Drive sets include 2 locks and 1 key.